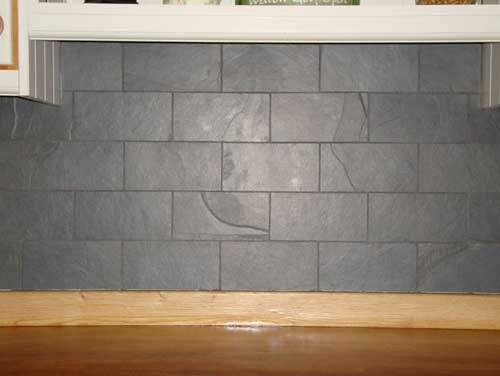 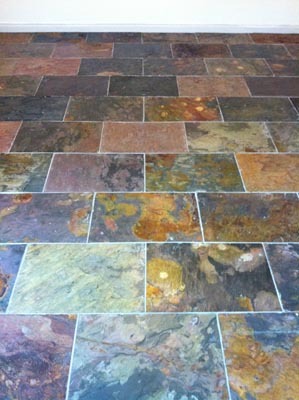 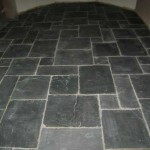 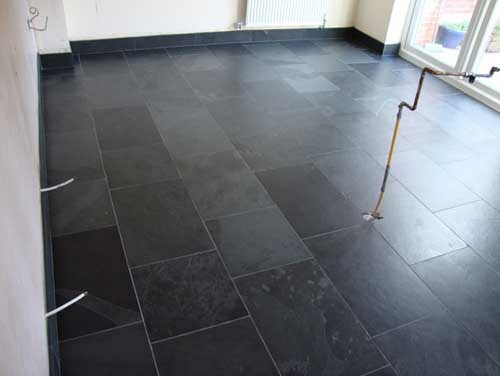 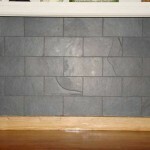 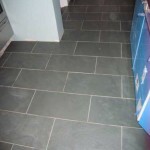 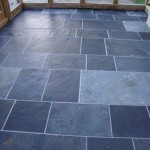 Slate is a hard wearing natural stone and tends to be available in darker colours. 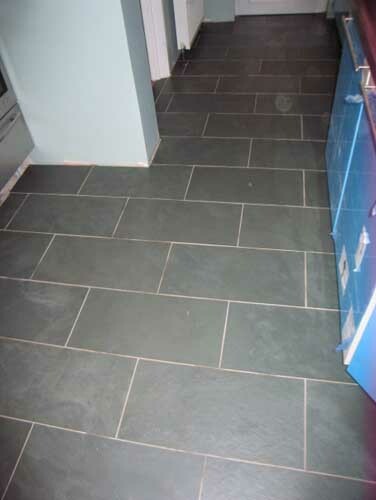 Having said that, greys, greens, browns and beiges are also an option as a different look to basic black. 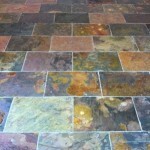 Multi colours also offer a dramatic result. 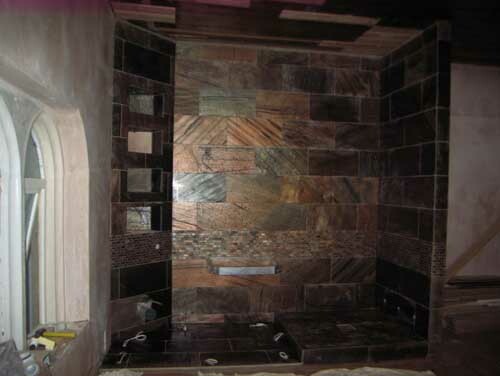 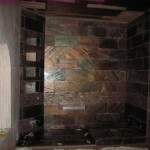 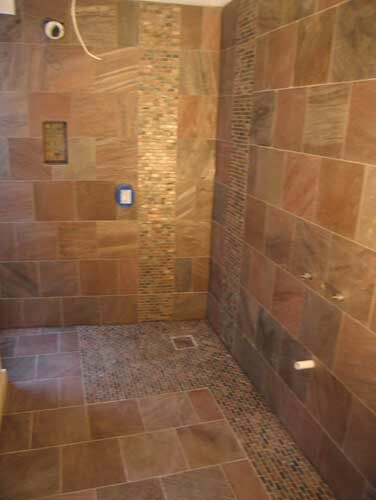 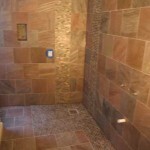 Finishes are riven or honed and the tiles can vary in thickness if not calibrated. 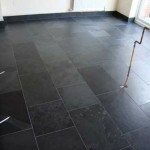 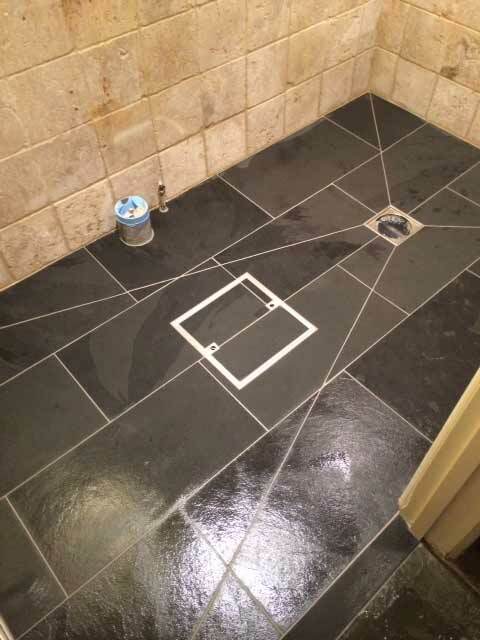 Uncalibrated slate requires more adhesive to ensure a level floor. 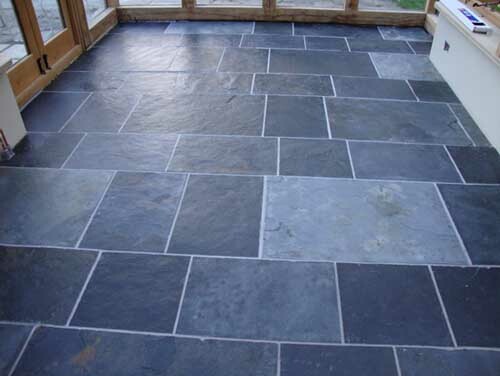 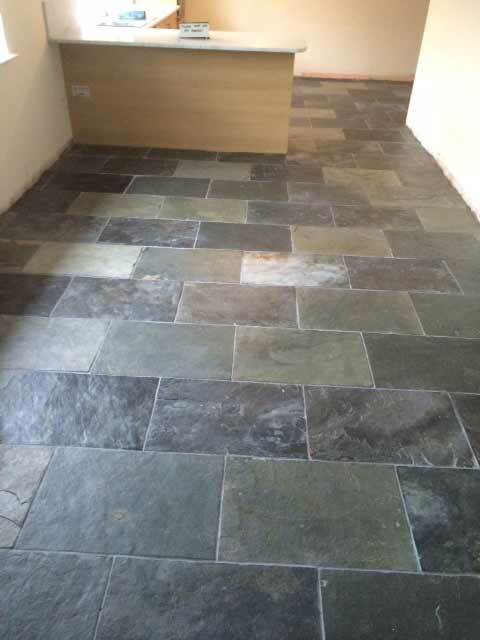 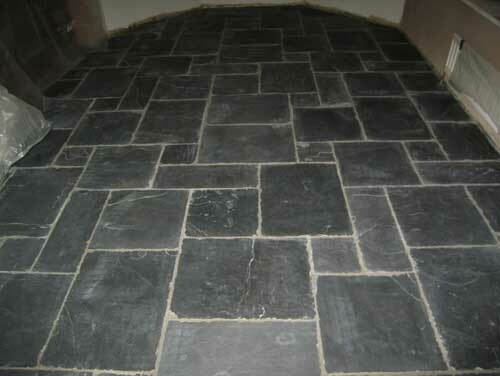 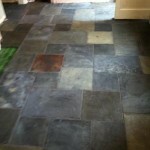 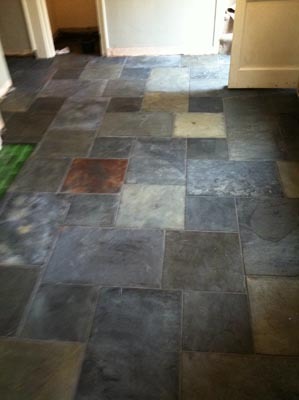 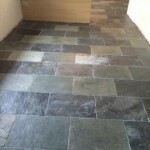 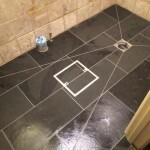 Slate requires regular cleaning and sealing to protect it from grease and oil however other than this; it is a very practical and cost effective flooring.